Everyone loves wine, right? What better way to celebrate the vine than an evening of indulgance while creating memories and personalizing glassware? All wine glasses are large, 20 ounce glasses. The paint used for these creations is specifically designed for glassware, is nontoxic, and washable. 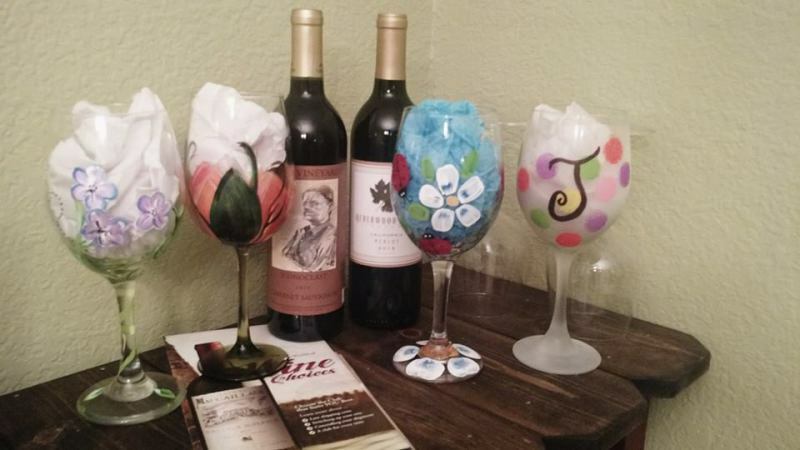 Wine glass events are available starting at $275/10 guests.